Lenovo says that its machines boot 33 percent faster and shut down up to 50 percent quicker than comparable rigs. Lenovo also highlights One-button data backup and recovery, AV, scanning and system repair tools. Basically, it is talking about the ThinkVantage software suite that we already love--plus extras. A couple other big data points for cautious computer users: OneKey Rescue System 7.0 backs up data twice as fast and includes more powerful antivirus scanning that can be run even before loading the operating system. The last pillar: Taking multimedia more seriously. By adding better discrete GPUs and improving the audio solutions (the Y series IdeaPads get full depth speakers with rubber feet and Dolby Home Surround Sound; The U series gets reduced vibration design for speakers; and the G series get enlarged speaker chambers). All that sounds pretty sweet. However, as I noted up top, seeing is believing. So stay tuned for more on that. As for the machines Lenovo is hot to trot out, these are the main ones. 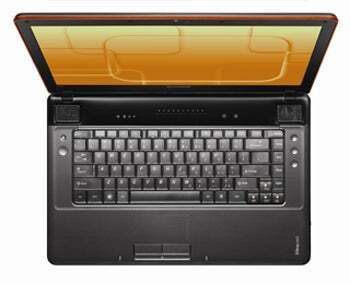 The Y550P is Lenovo's power user consumer model. Take an Intel Core i7 processor; add a 1GB nVidia GT M240 GPU, a 500GB hard drive, and a 15.6-inch, 1366-by-768-pixel panel--and you have a package that could deliver pretty decent performance. If the system's A/V doesn't deliver right off the bat, the machine hosts a OneKey Theater audiovisual optimizer. A touch-inductive SlideNav above the keyboard promises to allow easy navigation between programs and shortcuts. Of course, it's going to be a little beefy at 6 pounds and measuring 15.2 by 10 by 1.5 inches. And don't expect it to run marathons--spokespeople say that this machine should last 4 and a half hours with the battery. The sassy U150 just barely fits into the size range of netbooks (measuring 0.5 inch thick and weighing only 2.9 pounds), but lurking beneath the textured red or black cover is an Intel Core 2 Duo processor, an 11.6-inch (1366-by-768) display, and up to a 320GB hard drive or a 64GB solid-state drive. Protecting this little guy from bumps and scrapes is something called the Active Protection System. 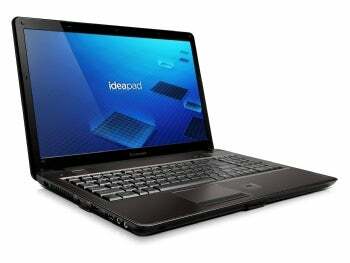 Spokespeople say that the laptop will last up to 7 hours with the six-cell battery. Where the Y550 screams with all the multimedia bells and whistles, think of the IdeaPad U550 as the "strictly business" consumer machine. 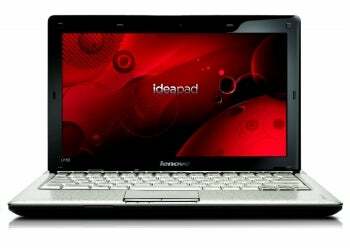 It offers a 15.6-inch (1366-by-768) screen, an Intel Core 2 Duo processor, and an integrated GPU (you can opt for a 512MB ATI Mobility Radeon HD 4330 GPU). It also offers switchable graphics--toggle the discrete GPU with a button press. It measures 14.8 by 9.9 by 1.16 inches and weighs 5.3 pounds. Oh, and for those that want a machine that'll literally be easier on the eyes, the U550 touts an ambient light sensor to adjust the screen for you. Obviously, this is just a quick peek at the machines. We'll be sure to give you a more complete picture of each of these laptops as review units show up in the office.